Bucquoy is situated on the D919, Arras-Amiens road, 15 km south of Arras. Queens Cemetery is located on the western side of the road just south of the village of Bucquoy. 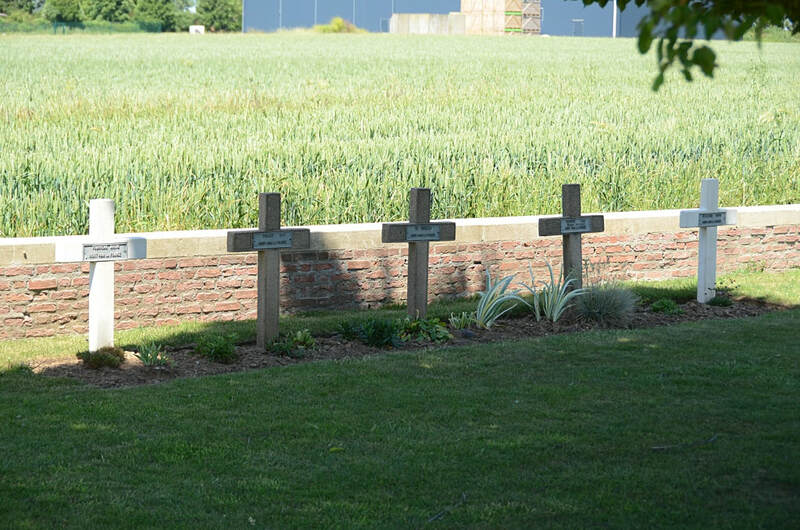 Bucquoy was taken by the 7th Division in March, 1917. 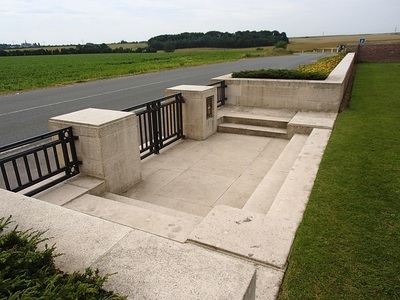 It was partly lost in April 1918, after a prolonged and gallant defence by the 62nd (West Riding), 37th and 42nd (East Lancashire) Divisions; and it was cleared on the following 21st August. 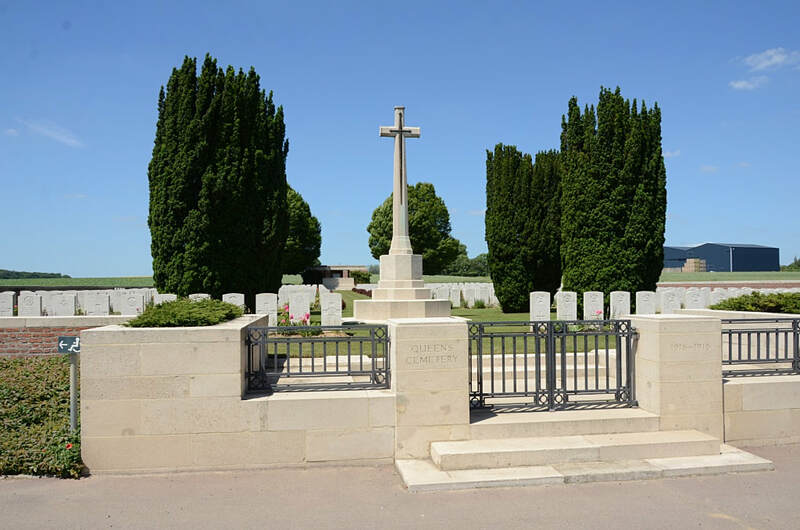 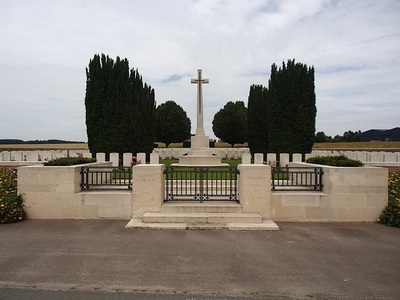 BAILLESCOURT FARM CEMETERY, BEAUCOURT-SUR-ANCRE, was made by V Corps as Cemetery No.16 in 1917 whilst clearing the battlefields. It was in marshy ground between the Farm and the Ancre, and it contained the graves of 64 sailors and soldiers from the United Kingdom who fell in the winter of 1916-17, and in August and September 1918. 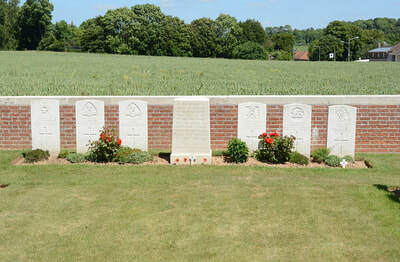 The Farm was taken by the H.A.C. 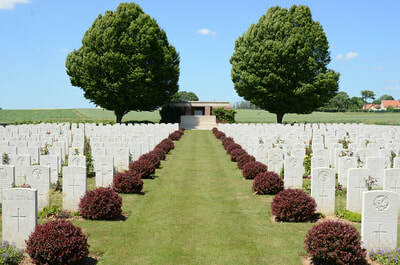 in February 1917. 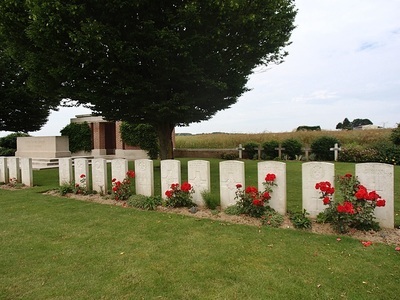 MIRAUMONT CHURCHYARD, in which nine men of the R.F.A. 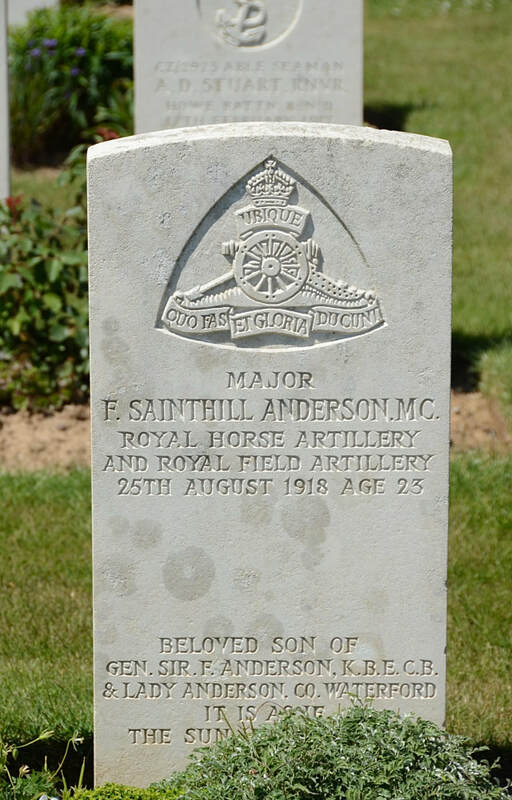 and an Infantry officer were buried in February and March 1917. 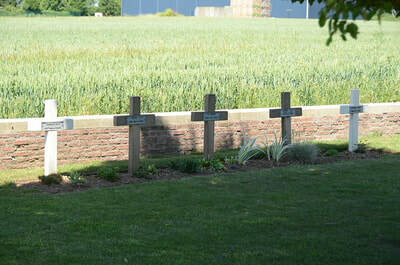 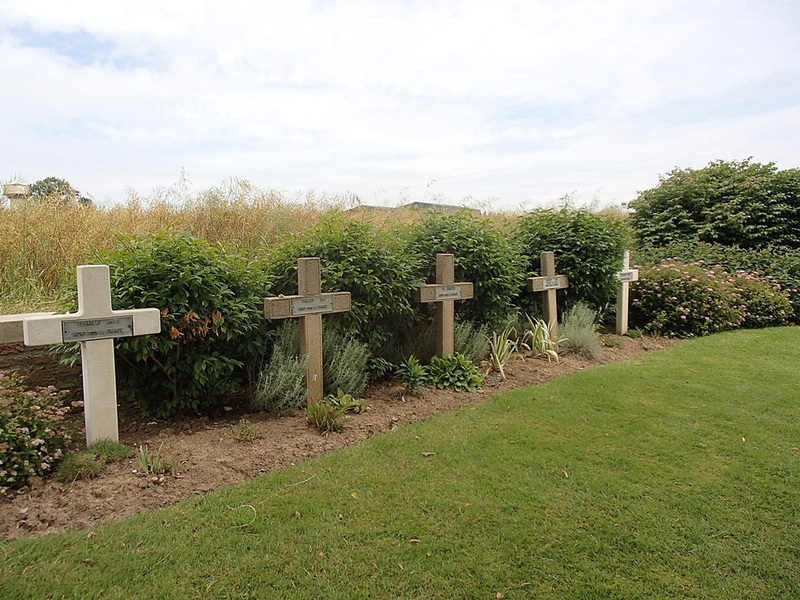 MIRAUMONT GERMAN CEMETERY, in which six soldiers from the United Kingdom were buried in 1915-16. 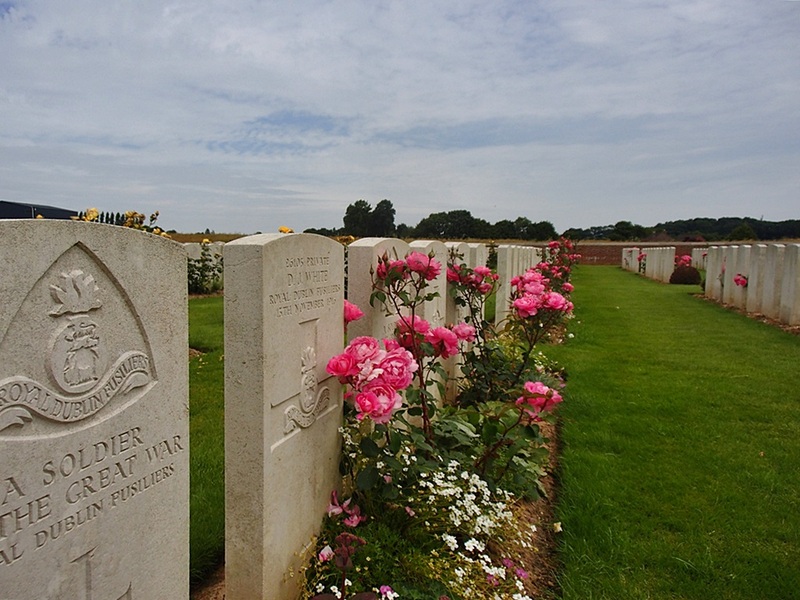 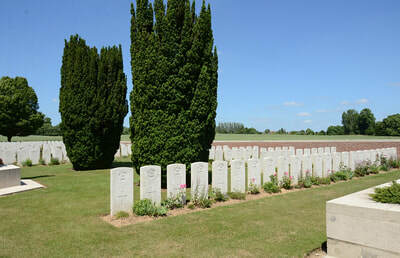 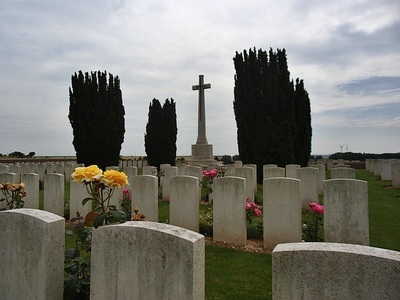 RIVER TRENCH CEMETERY, PUISIEUX, was made by V Corps in 1917 in clearing the battlefields. 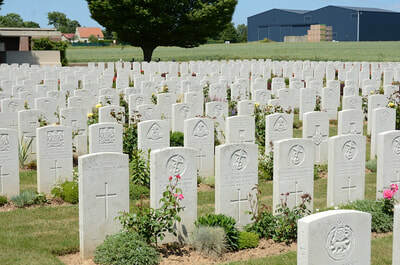 It contained the graves of 117 officers and men, almost all of the R.N.D., who fell in February 1917. 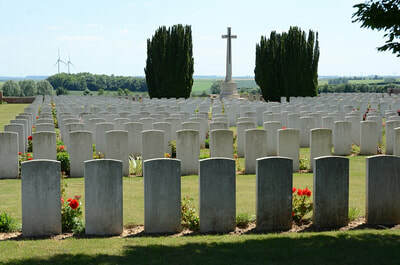 It was in the open country between Grandcourt and Puisieux. 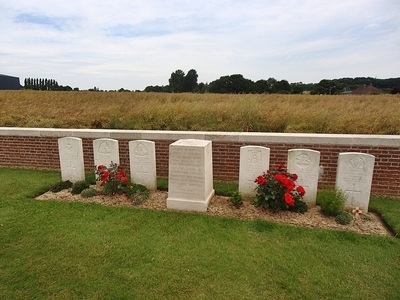 SWAN TRENCH CEMETERY, PUISIEUX, was created by V Corps as Cemetery No.14, and contained the graves of 27 officers and men of the R.N.D. who fell in February 1917. 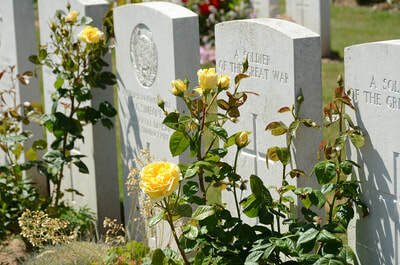 It was near the Grandcourt-Puisieux road. 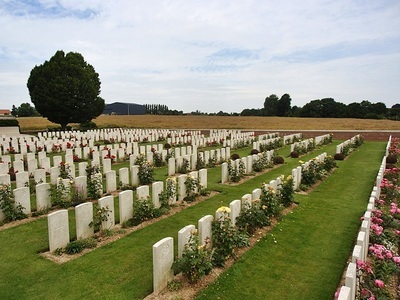 TRIANGLE CEMETERY, MIRAUMONT, was 800 metres North-East of Petit-Miraumont village on the road to Pys. This was a German cemetery containing the graves of 181 German soldiers and eight soldiers from the United Kingdom. There are now over 700, 1914-18 war casualties commemorated in this site. 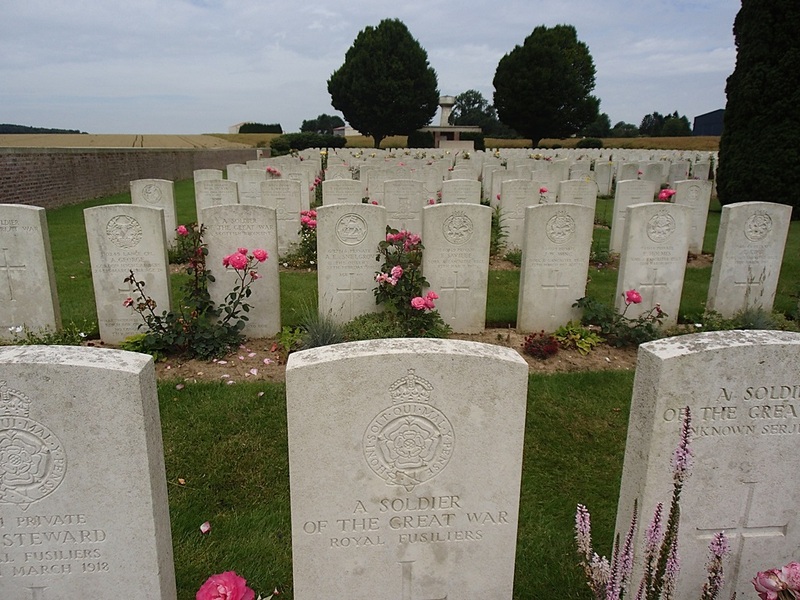 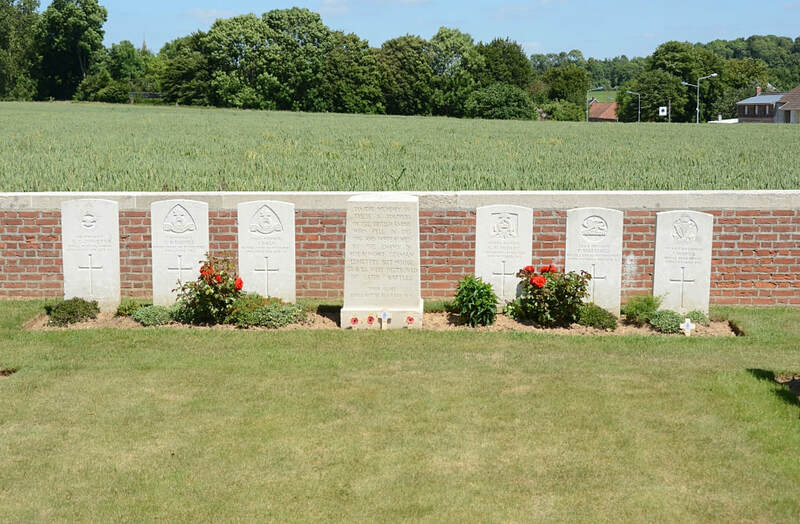 Of these, over 200 are unidentified and special memorials record the names of six soldiers from the United Kingdom, buried in Miraumont German Cemetery, whose graves were destroyed by shell fire. 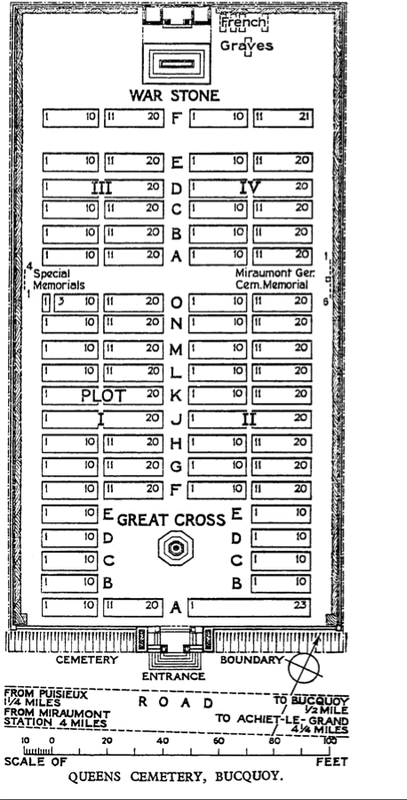 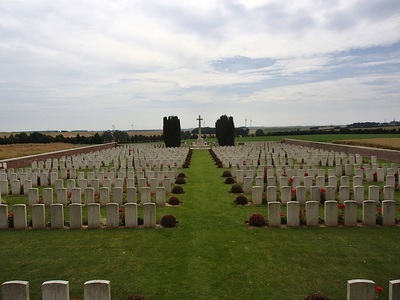 The cemetery covers an area of 2,619 square metres. 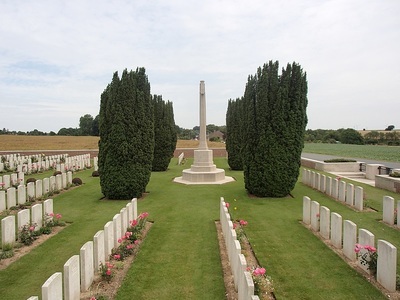 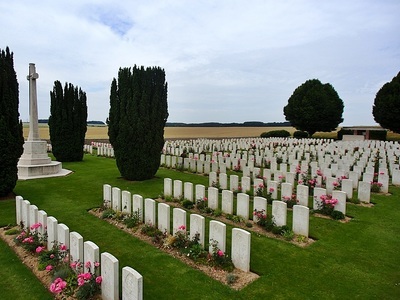 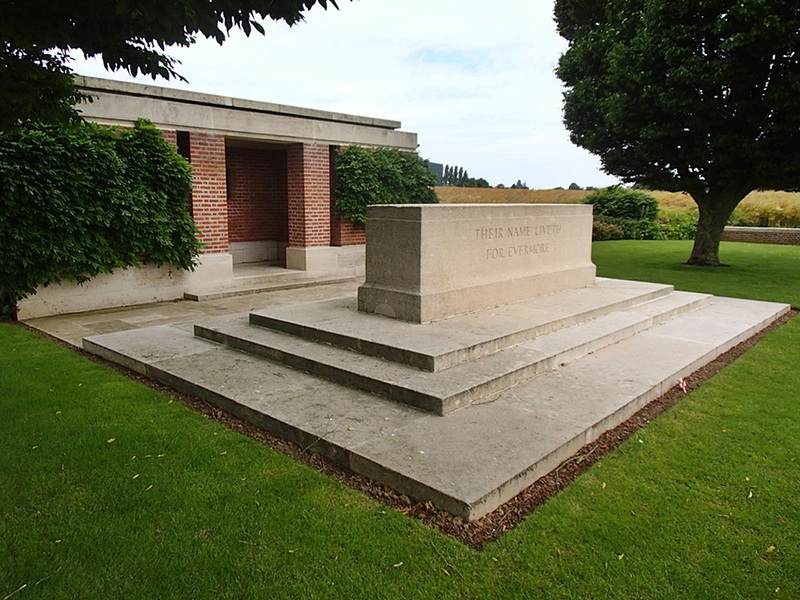 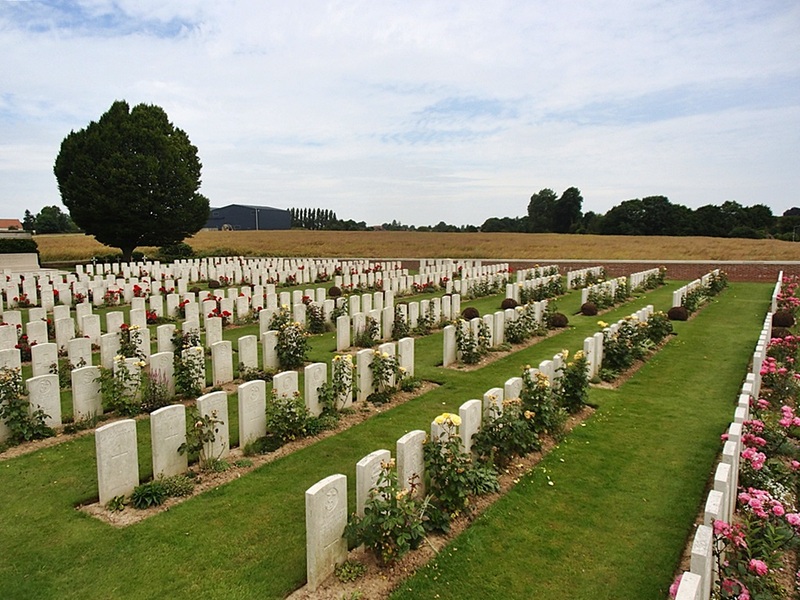 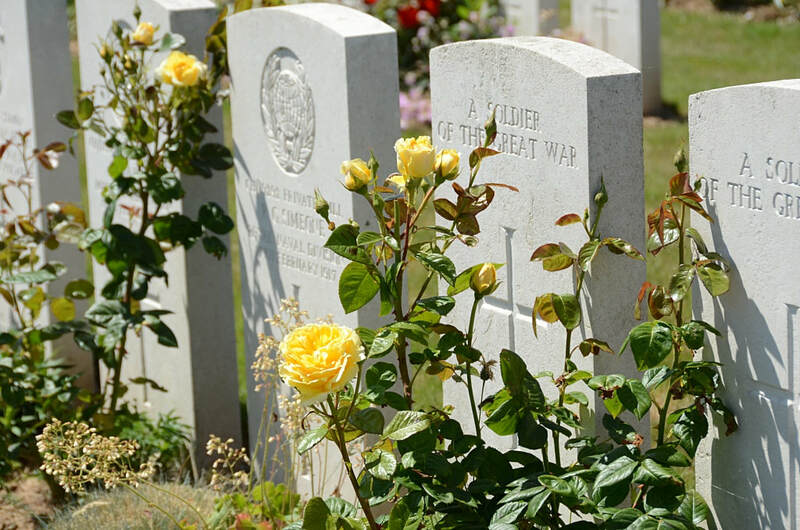 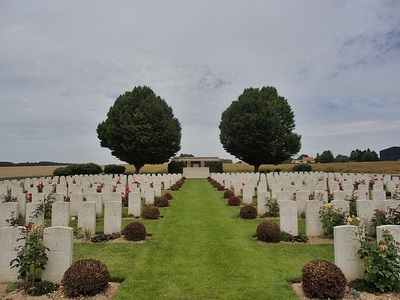 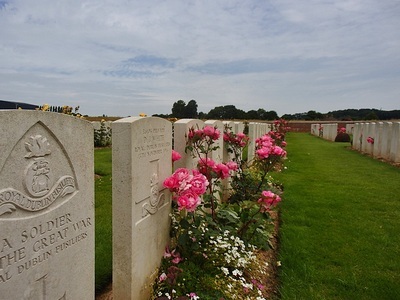 Casualty Details: UK 708, New Zealand 28, France 5, Total Burials: 741.